There is a reality to having your pets in Berlin that needs to be addressed, and that is the point of today’s post. 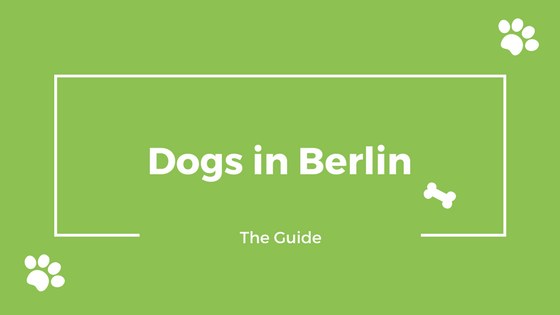 I covered the logistical information and intricacies of bringing your pets on an international move to Germany (read articles one & two), but haven’t covered the reality of daily life with them in Berlin. 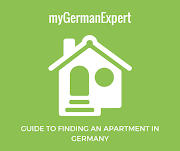 There are rules to pet ownership within Germany and Berlin that you need to be familiar with once you move here. Years ago there apparently weren’t any laws regarding dog ownership in Berlin and there were multiple cases of aggressive dogs causing issues etc, so to combat this and other concerns, the Berlin government instituted a required registration process of all dogs. Each state has its’ own requirements and fees and I won’t cover them all, but I will share what I have learned regarding Berlin fees and requirements. First, all dogs must be leashed in the city, no question. Second, Berlin’s dog registration fees are pretty outrageous, especially to an American who paid 30 USD per year for my spayed female and 25 USD a year for my neutered male. The cost for registration in Berlin of the first dog is 120 EUR per year, and a second dog in the same house is an additional 180 EUR a year, for a whopping 300 EUR a year registration fee! I’ve been told other states are not this expensive, but I have not done any research to verify this statement as fact. In fact, in my research, I learned that the state of Berlin took in over EUR 11 million in 2016 from the dog tax! There are some exceptions to this rule and also, some potential increases in the fee based on the breed of the dog, so make certain to do your research to learn all the specific rules. Here are some details (in German) about how and when you have to register your dog in Berlin. Also be prepared for how many dogs in Germany aren’t spayed/neutered; there is no law requiring it when adopting a dog from a shelter (as opposed to where I’m from in America where each shelter requires sterilization of dogs/cats before or immediately after adoption). Here is the link to the FAQ page with the information from the Finanzamt office in Berlin. You can travel with your pets on the metro, there are a few rules regarding this, and though I have seen many break these rules, I myself choose to follow them because I don’t relish getting fined by the BVG ticket checkers (in my opinion, the small cost of the ticket or following the rules is outweighed by the amount of the fines they levy when caught). You can travel with your pets on the U-bahn, S-bahn and buses as long as they are leashed and muzzled, and you must purchase a ticket for the dog. The ticket is basically the child’s ticket, and if you purchase your own ticket for 2.80 EUR one way, one dog (or child or other person) can accompany you on that ticket, and the second dog must have it’s own ticket. Again, many people ignore the muzzle rule as I’ve traveled on the metro and seen many dogs without a muzzle on the trains, but be fully prepared to be fined if caught, or if something worse happens, you will be liable. There are dog parks within Berlin, but many are on the outskirts of town and I have yet to take my dogs to them to explore but I do hear that they are large and lovely. I have my own issues with dog parks that cause me to not be a frequent user of them, but many love them and feel it is a good place to exercise their pets. Be fully aware that most of the parks in neighborhoods DO NOT ALLOW dogs at all and the Germans who frequent these parks will not be averse to telling you when you are breaking the rules if you bring your dogs inside them. I have had two pretty intense encounters with older German men who felt it was their job to yell at me when they thought I had broken a rule (both times I honestly thought I was being yelled at for not picking up their poop-even though I had-but it turned out that just walking through the park with my leashed dogs was enough to get yelled at by a stranger for five minutes). Again, I see plenty of people with their dogs in parks and I do regularly break that rule myself (always when it’s empty and either early morning hours or later at night), but be prepared to be told in no uncertain terms that you are in fact breaking rules by a German if they catch you. Now, ironically enough, the Germans love to inform you when you break a posted rule, but someone is leaving all their dogs’ poop all over this town and it can’t solely be the ex-pat owners doing this! The amount of dog poop that doesn’t get picked up is immense in Berlin and I am shocked daily when I watch people let their dogs poop and walk away without picking it up and throwing it away. I have learned that this is actually a law, picking up your dogs’ poop, and if you are caught without waste bags or found not picking up their waste, you can be fined 35 EUR or more by the Ordnungsamt.